LIC Policy Status check is necessary because it helps you know the next premium due date. For that, you no need to visit the nearest branch office. That means due to advanced technology, one can check their LIC of India policy status online now, with just a few clicks on your computer. So, go through the following sections to know your LIC Premium Status. 1.2 How to Check LIC Policy Status? 1.6 How to Check LIC Policy Status without Registration? LIC of India Policy Status Enquiry helps you to know the status of your LIC policy. Tracking your own policy status is significant because it allows the policyholder to know the details of next premium due, accumulated bonus, loan status, claim status, revival quote etc. In earlier days, the insured should visit the nearest branch office or approach an agent to View LIC India policy status. With time and advanced technology, LIC also has modernized. So, He/she can do LIC Policy Status enquiry online at www.licindia.in by registering on the official website. The Customers can also check the LIC status or LIC Premium payment status through SMS & Phone services without registration. In today’s busy life, it is too likely to miss out on premium payments and sometimes, even the grace period goes unnoticed. So to avoid these issues, one should perform a timely LIC Login Policy Status check and stay updated about upcoming premium payments. The Insured can verify the LIC Online policy status by using LIC login portal. Hence the customer can check LIC Policy status by policy number Online. Here, on this web page, we have provided the LIC Login page to know the LIC Policy Online Status report. If you go to LIC branch office just for LIC status, it consumes your time and money. So make use of these Lic online services. That is just by using User ID, password and Policy Number you can know the LIC India Policy Status Online free. Life Insurance Corporation is the leading Insurance company in India, and its policyholders are spread widely all over. The people might have a question of how to check my LIC Policy details. For the convenience of policyholders, LIC has provided different methods through which policyholders can check LIC policy status. The corporation also provides mobile services through which customers can know their LIC Premium Payment Status. But make sure that you have your policy number ready with you while making calls to the customer care or checking your status online. So, follow the steps given in this article and check LIC Premium due date. By following any of these methods, you can View Lic Policy Status easily within minutes. Using LIC Online service for already Registered Users and New users. By Calling LIC Customer Care Number. Commenting policy number at the end of the page. The insured can also get LIC Policy Status Report in the below sections. So check the report and make LIC Policy Payment online. The Customer who wants to check the LIC Online Policy Status has to register on the Official Website of Life Insurance Corporation of India. The New Users have to follow the steps mentioned below to know the LIC of India Policy Status Online. 3. A new page appears on the screen with two fields namely Registered User and New User. 4. If you are not yet registered, Click on “New User”. Now you will redirect to New Registration page. E-mail I.D on the screen shown as below. Note: You need to give the premium amount and date of birth details as per the policy document. 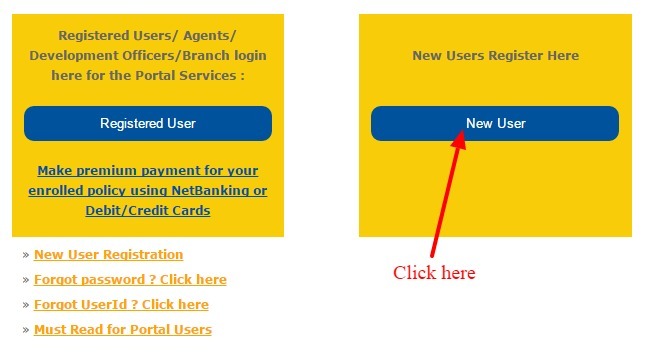 6.After entering the above details click on proceed, then you’ll redirect to a page where you have to create a username and password to open new LIC policy account as shown in below image. The user-id chosen must be unique. The password should be unique and should be kept confidential. 7. After creating a password, you’ll receive a message through the mail which provides your LIC login details for checking LIC Online policy status. 8. 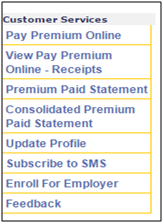 You can see a list of options on the left side of your screen, choose view enrolled policies among them. 9. It will ask you to enter your policy number, enter it and then click on the policy number to view the details. 10. With this, you can view LIC policy status, maturity date, Premium due date, loan amount, loan interest amount. On successful registration, the customer will have access to know information regarding the status of policies, loan, revival, premium due/policy calendar, maturity calendar, etc. But the Existing Users can Login with the Login Id and Password to know the Policy Status of LIC. The Registered users can check the details of premium payments, accrued bonuses, group schemes, etc., by simply logging into the LIC India direct website. 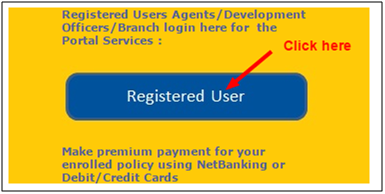 Here you have an option like LIC policy status login with LIC Login facility on the Homepage for registered users. So follow the steps as under and check the Premium Payment Status through the LIC Policy Statement. 2. 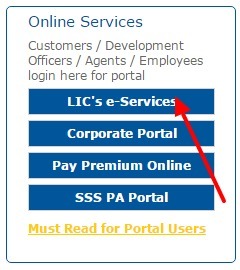 Click on LIC eServices available under Online Services section. 3. If you are an existing customer, then select “Registered User” as shown in below image. Clicking this option will take you to a new page with log in details. 4. Enter your LIC policy status Login Id and password. After entering the details, click on “submit” option as shown in the image given below. 5. By clicking the submit button, it will take you to the fresh page where you need to click on “View enrolled policies”. 6. By clicking that, you will direct to a new page where you need to enter the text shown in the image and then click submit. 7. Then a separate page will be opened. 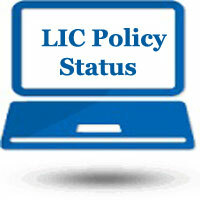 You need to click on Policy number to view LIC policy status online. 8. With this, the status of your LIC policy will be displayed. How to find LIC Policy Number by Name? Can I get my policy status without registration? Of course, yes!! If you don’t want to check your policy status online, or want to avoid the hassle of registration, you can check your premium status by following other ways like SMS, calling to the customer care, etc. 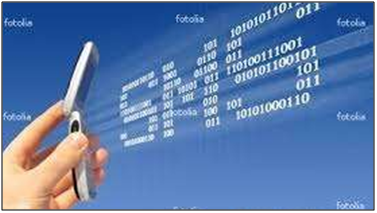 These services ensure that the individuals who are not connected to the internet do not get sidelined with the latest updates. LIC has provided another easy option to know your LIC policy status by calling LIC customer care. Those who don’t have access to the internet they can easily find out their LIC India policy status through phone. This 24* 7 facility is available only in selected cities. You need to dial 1251 if you are MTNL/ BSNL user or type your city code before the IVR number to use this facility. Here I have provided LIC Toll free number for some main cities only. 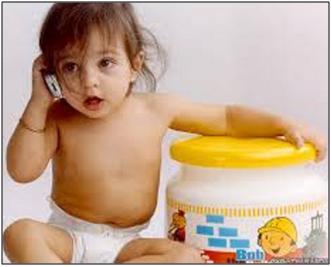 You can also check the helpline number for your city on this site. LIC of India has introduced SMS services for policyholders. Now you can get LIC policy status just by sending a single text message using your mobile phone. This is a free SMS information system which will be helpful to all the LIC policy holders to get policy and servicing details. Through SMS service, you can enquire about LIC Individual Policy or LIC Pension Policy. ASKLIC <POLICY NO> PREMIUM / REVIVAL / BONUS / LOAN / NOM and send to 9222492224. Premium- Installment premium under policy. Revival – If policy lapses, Revival amount payable. Bonus – Amount of bonus Vested. Loan – Amount available as loan. NOM – Details of Nomination. IPP Policy Status – (STAT). Existence Certificate Due – (ECDUE). Last Annuity Released Date – (ANNPD). Annuity Payment through – CHQ/ECS/NEFT) (PDTHRU). Cheque Return Information – (CHQRET). This is another simple facility where you can get the status by simply commenting at the bottom of the page. So, leave a comment with your policy number with what information you want to know like premium amount, surrender value or bonus amount acquired. We will post you the information on your Queries. In Addition to all these, you have other options through which you can know more information by going to Policy tools options at the left side of the page, in which you can enroll new policy number. This page would be accessible only after successful registration. After registration, the policyholder can provide the policy number and the premium amount. A reply mail would be sent to the policyholder. If the policy information mentioned is error free the status information about the policy would be displayed. The policy number should be the same as given on your LIC bond. The other additional Services of LIC India are explained in detail below. 1. 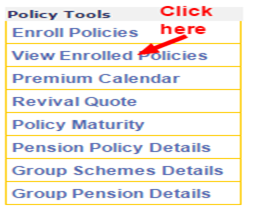 At the left corner of the page, go to policy tools in which the first option is “Enroll policies”, Click on Enroll policies, then page shown as below appears. 2.The enrolment process is necessary to authorize access to certain functions offered through online such as a request for change of address. 3. 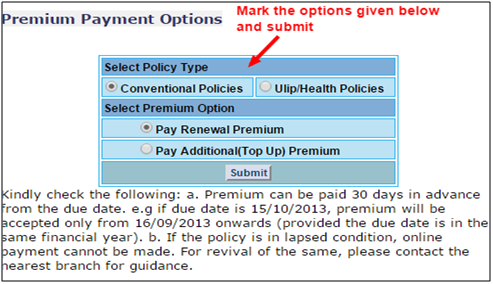 To view the “policies already enrolled” go to the second option in policy tools and click on “View enrolled policies”. The following page appears with details. 4. To know about other customer related services pls see the right column where customer services are provided. 1. 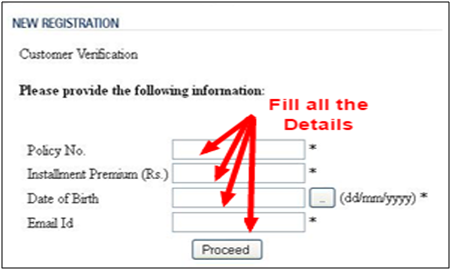 LIC has given the option to pay the Premiums online, to pay premiums online go to customer services on the page shown above in which the first option is “pay premium online”. Then the following page appears, you need to mark the options and click submit to process your payment. 2. Regarding the second option in Customer services, View pay premium online receipts you need to enter the financial year and click on submit. Premium receipts are available for the Current and Previous Financial years ONLY. 3. There are also other options available in the customer services through which we can know required details like premium paid statement. To know premium paid statement which is the third option in customer services. Click on “premium paid statement”. After entering the details in the above page click on submit, then it gives you the premium paid statement particulars in a new page in which all the details of premiums paid will be displayed for the financial year you have selected. Hence using LIC Policy Status enquiry, you can easily make your payment, and you may also know your premium amounts. I want to know my policy status asbecause I want to surrender it. My policy no.753498745.pl.give my lone amount balance with interest. And premium amount.